We offer a wide range of stylish, safe and affordable walk-in shower solutions to suit any sized bathroom. 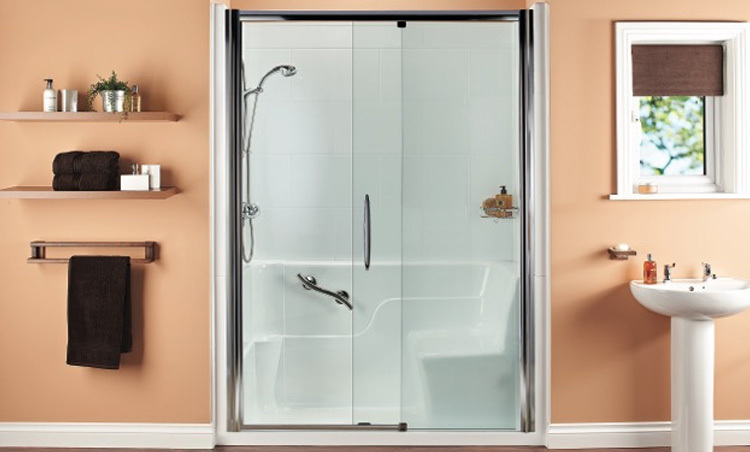 Our walk-in shower enclosures are perfect for people who have difficulty getting in and out of the bath. With many optional extras available including grab rails, assistance poles, duck boards and fold down seating for that little extra help. We can manufacture the shower to fit your existing bathroom and can usually complete the installation within a day with no mess and no fuss. Our walk in showers will make your bathroom look modern and stylish while offering you the ultimate in safety and comfort. To discuss your individual requirements and for a no-obligation quote, please call free on 0800 316 0115. Walk-in, stand up or sit down, the choice is yours with the amazing Aquability shower module. Usually fitted in a day with no mess, no fuss. The Easy Access Shower’s sliding glass door and matching side panel makes access simple and easy. It will fit in the same space as your old bath.